Straw color. Elegant aromas of lemon zest, heirloom apple, orange blossom, tart green apple, and toasted almonds in honey with a satiny, vibrant, dryish light body and a distinctive, medium-long delicate herbs, wet slate, and apricots in creme finish with well-integrated tannins and light oak flavor. A lovely high-acid chardonnay that is skillfully crafted and will offer years of excellent sipping. 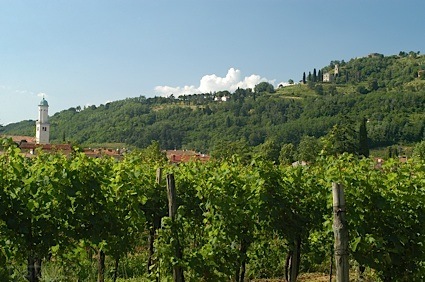 Bottom Line: A lovely high-acid chardonnay that is skillfully crafted and will offer years of excellent sipping. 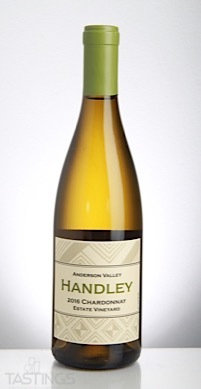 Handley Cellars 2016 Estate Vineyard, Chardonnay, Anderson Valley rating was calculated by tastings.com to be 93 points out of 100 on 2/27/2018. Please note that MSRP may have changed since the date of our review.